eBooks are often described as websites wrapped in a file, and if ReadK.it catches on that might become the literal truth. I know that doesn't sound like much given that similar projects like Monocle and Ibis Reader have offered similar abilities since 2010, but ReadK.it has a number of advantages that its competitors lack. It's open source while Ibis Reader is both proprietary and deceased (its developer was acquired by Safari Press in 2012 and Ibis Reader was killed in June 2013). And while Monocle is also open source, ReadK.it offers a few tricks that Monocle lacks. For one thing, ReadK.it has the option of being bundled inside an Epub (enabling you to put the reading app inside the ebook instead of the other way around). 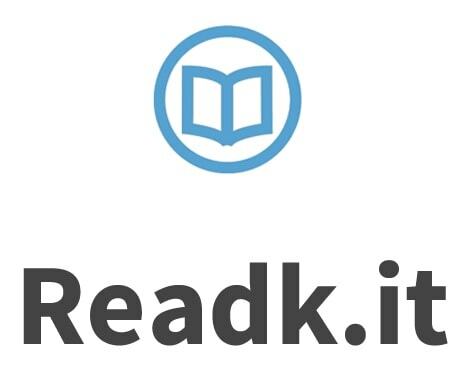 Unzip the file, load ReadK.it's index.html file, and you can read any DRM-free ebook simply by dragging and dropping the Epub file in your web browser. All the files needed to read that Epub are contained in the Epub file you downloaded, and they take up so little room that you can readily include them in every Epub. And that's not the only option. You can also download that reading app as its own HTML file; it's about 1MB in size. Compared to most Epub reading apps that is a very small app, that goes double when you consider the fact that it should work in any web browser on any platform. All in all, on a technical level this is a very nifty project and on a practical level it should prove very useful. 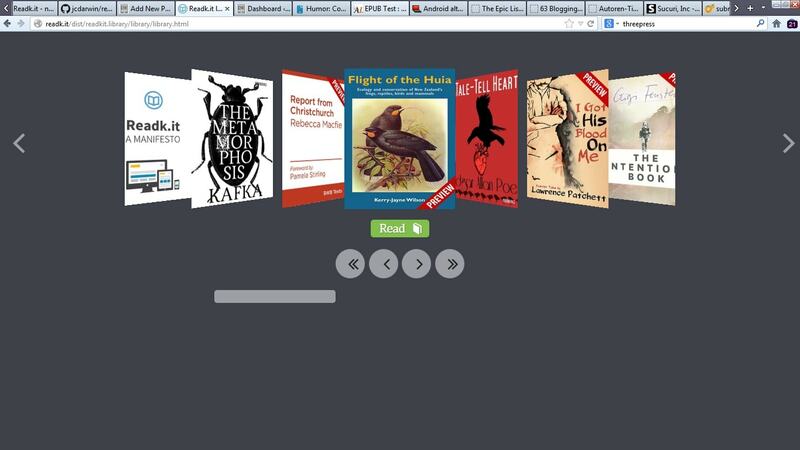 It's going to give everyone another option for distributing and reading Epub ebooks. If you haven't checked it out yet, you should.